A Grape Escape is a contemporary West Australian cottage set on 8 acres of trees and pasture half way between Margaret River townsite and the sea. Just off Caves Road, you are immersed in the Margaret River region’s wineries, beaches, caves, forests and other attractions. 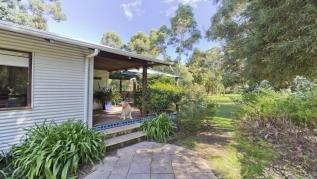 With no neighbours to be seen or heard and only a mob of local kangaroos to share the serenity, relax with a glass or two of local wine and a barbecue on the huge jarrah decked balcony and watch the sky change colour over the wonderful view to the coastal ridge. 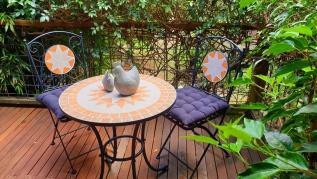 Or you may prefer to cook some of the fantastic fresh local produce in your well appointed kitchen.The stylishly furnished lounge and entertaining areas are heated by a cosy woodheater in the cooler months and air conditioned in the warmer months. 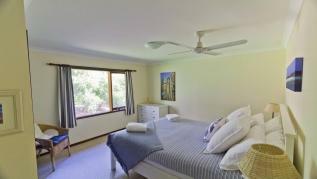 Two large bedrooms with comfortable queen size beds are very inviting.A tasteful large bathroom with complimentary Vasse Virgin toiletries and laundry complete the cottage and lead you out to the surrounding garden where the birds are carrying out their enthusiastic conversations.Pets welcome by arrangement, but for the comfort of future guests, must observe a few simple house rules. Rural ring lock fencing surrounds the house and will keep most size dogs happily contained whilst you are there. A secure pen is also provided should you need to leave your dog when you go out. Overflow sofa bed in lounge available along with fold out single bed for children (Linen hire optional for these at extra cost).The position on the map is an approximation; for security reasons the exact location will be sent after your confirmation of booking. An absolute treasure find!! One of the best equipped facilities and most welcoming I've found. We all departed well, relaxed and refreshed. Thank you again. OMG!! I travel a lot and this is the best bnb of all that I have experienced. Beautiful property and everything you could need is here. Loved our stay! 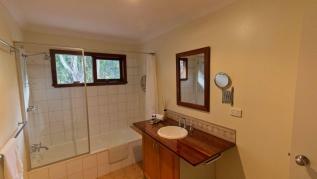 A+ perfect location As always attention to detail is A + for this property. Awesome location and property. Quiet and location is perfect. I stay at bnb's all over Australia every year. This is an outstanding experience. The best equipped bnb I have ever had the pleasure to visit and just set in a such a tranquil location. Everything about this place is 5 star. The owners have thought about The smallest details. 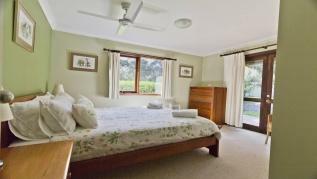 Exceptionally clean and well presented, the beds are super comfy . The situation is great. 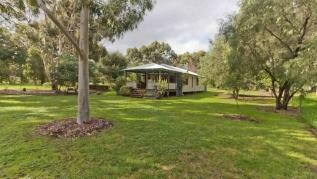 5 mins from the beach and 10 mins to Margaret river. 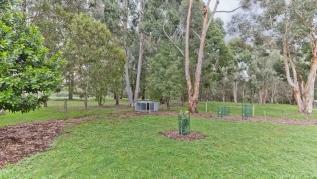 Ideal for our dogs who were entranced by the Kangaroos. Amazing BirdLife even saw Wedge tailed eagle near house. Just wish we were staying longer. Once again this house, the environment in which it sits complimented by a mild Christmas weather pattern allowed us to enjoy the best that The Grape Escape and surrounding vineyards, coastline & restaurants could offer - a great experience (genuinely) , over the years this place has never let us down -apart from the above the amenity and attention to detail within the house is exceptional. If you are looking for relaxation, informality with comfort - we highly recommend The Grape Escape. 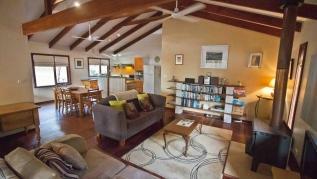 The Steve and Tina's place was exactly what we were looking for at Margaret River. Surrounded by the quiet nature, kangaroos hopping nearby, yet still quite close to the town. The fire place was perfectly prepared for us when arrival so we didn't have any problem spending time at the cottage in an unexpected cold temperatures. We will definitely come back! Steve and Tina, thanks again for having us at such a special place. 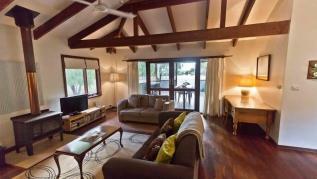 We enjoyed a relaxed holiday, communication was quick, the house was clean and well equipped in beautiful surrounds. 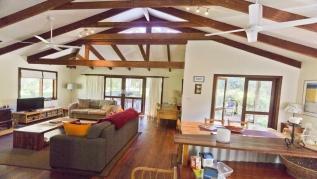 The residence is airy and spacious, we were a family of 4 adults with a toddler and had no trouble fitting in at all. The occasional roo sighting added to the experience. We had a fantastic stay at this warm and cosy cottage! It was great to head out into town knowing that our dog was safe. Great to have a morning cup of tea and watch the kangaroos. We had such a wonderful time staying at this property. 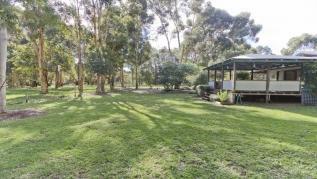 The house is in a beautiful and peaceful location surrounding by lush and interesting acreage. The house was warm and inviting, particularly with a cosy fireplace to lounge around. There were plenty of games, books and music for our group to enjoy. The kitchen had a generously stocked pantry and everything you needed for homecooked meals. My dogs were thrilled with the size of the yard, and there were plenty of areas to explore in the surroundings. 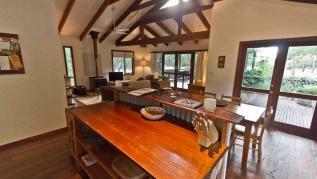 Ideally positioned just outside of Margaret River township and easy driving to local wineries, beaches and caves. We will definitely be returning. Thank you for hosting a wonderful getaway. We had the most amazing stay here. It was so tranquil and peaceful and the best place for our two dogs to run around in the huge fenced yard. Everything you could want was supplied including lots of games. The fireplace was just the best on a winters night. Can't wait to come back! We recently stayed at a Grape Escape for our Honeymoon, from enquiry to check out was seamless. On arrival bubbles were chilling in a cooler, the fire was burning and the house was warm, welcoming and clean. The kitchen had everything we needed to be able to cook meals, the lounge area was well set up with games and DVD's by the fire. Wifi was available, which made making reservations for tours etc really easy. There was also a landline, with the number written down so you can receive calls if you would like to. 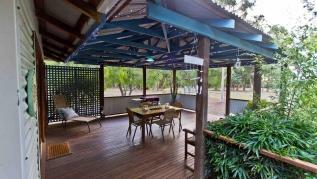 All in all an extremely relaxing and beautiful property well looked after by Tina and the team at House Down South. Have already recommended the property and hope to visit again!